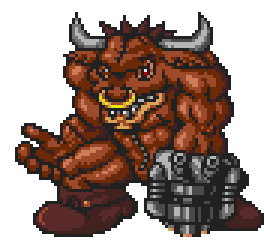 For the Adult Level version, see Minotaurmon Adult. 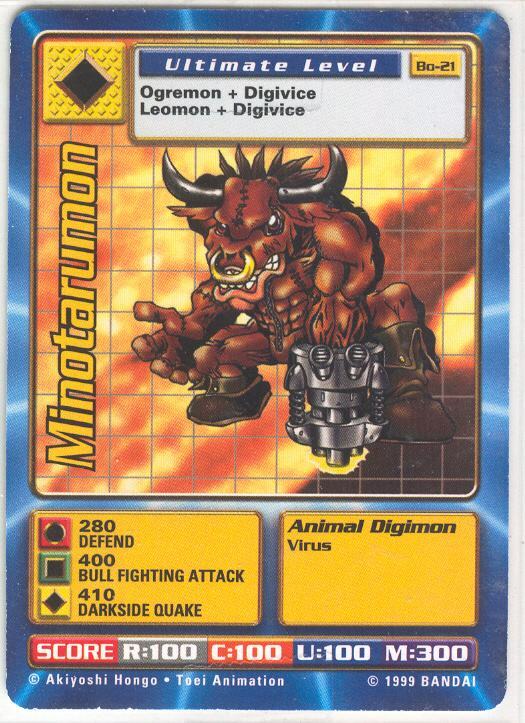 A dark Digimon with great power of darkness. It doesn't move fast, but because its an evil being, it makes any attack seem powerful. His Special Move is "Darkside Quake", which cause an earthquake with the Demon Arm on his left arm. Its impossible to escape from this attack that reaches a high number of enemies, no matter how far they are. 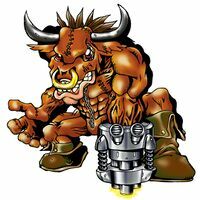 | Minotaur 「ミノタル Minotaru」 is an anglicization of Mīnṓtauros (Μῑνώταυρος), a part bull-part man monster in Greek mythology. Darkside Quake  ダークサイドクエイク Dāku Saido Kueiku Darkside Quake Thrusts its Demon Arm into the earth, creating a gigantic earthquake. 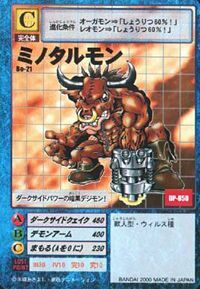 Demon Arm  デモンアーム Demon Āmu Bull Fighting Attack Punches the foe with its Demon Arm. 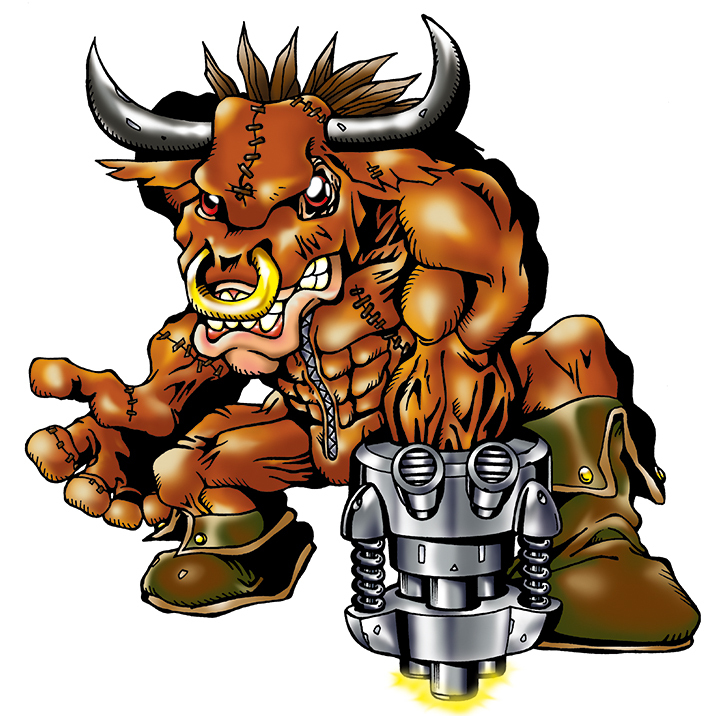 A Minotaurmon is pictured as one of the Digimon killed by Kurata Akihiro's forces. A dark Digimon with Dark Side Power!